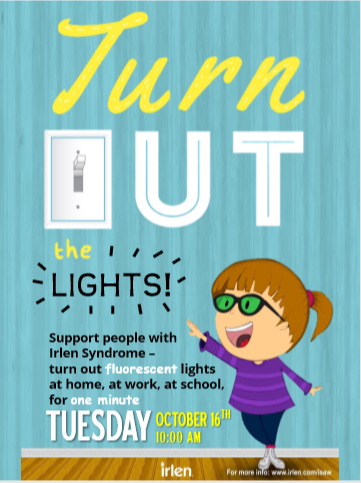 Today SCS showed their support for individuals with Irlen Syndrome by turning out the fluorescent lights at school for one minute at 10am. This was a national initiative whereby schools and work organisations across the country took part. Irlen Syndrome (also referred to at times as Meares-Irlen Syndrome, Scotopic Sensitivity Syndrome and Visual Stress) is a problem with the brain’s ability to process visual information. This largely unknown and undiagnosed disorder affects approximately 15% of the general population, 50% of individuals with reading and learning difficulties, 30% of individuals with ADHD and autism, and a significant portion of individuals with brain injury, chronic headaches, and migraines.